We’ve seen a lot of rumors and reports about the Galaxy J5 (2017) and the Galaxy J7 (2017) over the past few weeks. Samsung is yet to officially launch the new Galaxy J (2017) series. The company has now confirmed the existence of these handsets on the Korean information page for Kids Mode. The information page lists the devices that Kids Mode is compatible with, devices like the Galaxy S8 and Galaxy S8+, Galaxy S7 and Galaxy S6 series, Galaxy Note 5, Galaxy A series and more. It also lists the Galaxy J5 (2017) and Galaxy J7 (2017) even though these handsets haven’t been announced. The Galaxy J3 (2017) is on there as well but it’s probably the version that’s not going to be sold in markets other than the United States. The Galaxy J3 (2017) for the U.S. has model number SM-J327 while the one for EU and other markets will have model number SM-J330 and will feature different specifications. 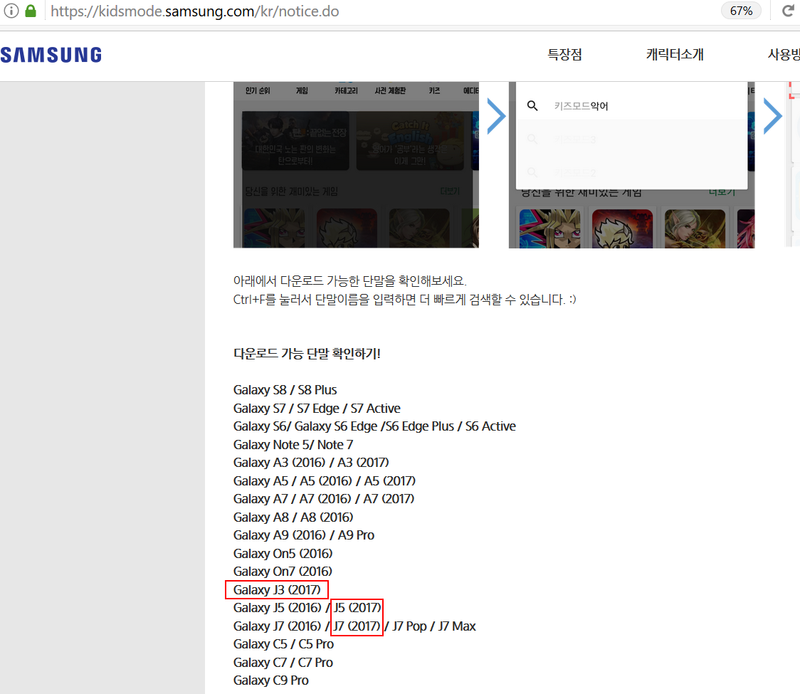 We can also see the Galaxy J7 Pop and J7 Max on the list. Even the Galaxy Note 7 is on there for some reason, despite the fact that this handset was discontinued late last year. Samsung is yet to confirm when it’s going to be making the new Galaxy J (2017) series official.